You’re on a strict schedule. You’ve signed up to participate in an upcoming cycling race or triathlon and need to stick to a strict training routine. Unfortunately, outside factors may hinder your ability to hit tire to pavement. Maybe the conditions outside include torrential rain or blizzard-like snow. Or perhaps after a night of working late it’s just not a safe enough time to put on your helmet and go on the road. An easy solution? 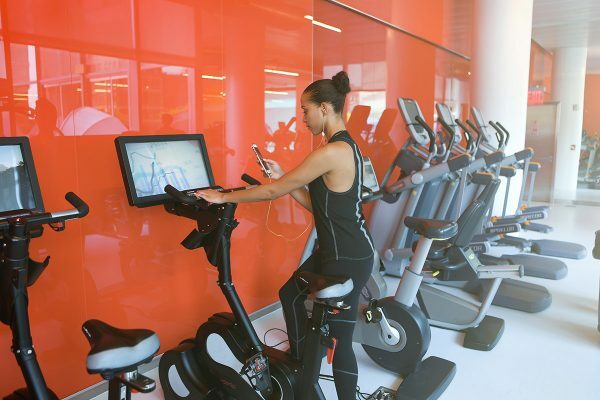 Train on an indoor bike. Surprisingly, many cycling athletes incorporate indoor cycle training into their workouts for more reasons than we may think. We talked with several experts, including coaches and cyclists, about methods that work for them. 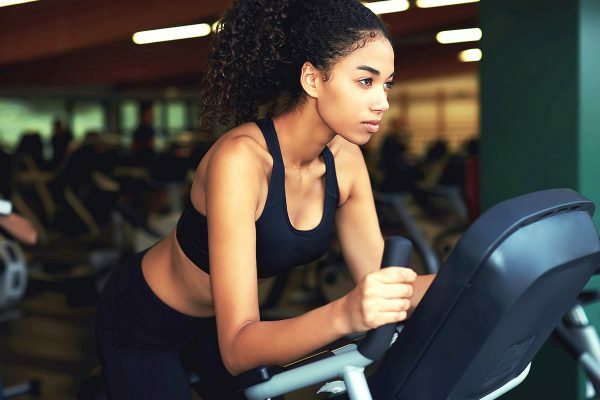 They discuss how they successfully incorporate indoor cycling into their exercise regime to help them practice or train for races. Read on as they give their insights and best tips and tricks to utilizing the indoor bike, plus key reminders to not skip out on when training on an indoor bicycle. How often should you train on an indoor bike? Don’t forget to practice outside. As mentioned earlier, riders still need to practice and develop bike skills on the road. “Having coached in the Northeast USA for over a decade, I can tell you that there is a significantly higher amount of avoidable crashes in the early season,” Brodie says. “This is, in large part, due to many riders riding their trainer all winter, and not getting out on the road and purposefully practicing their bike handling skills.” It may be intimidating to hit the outdoors in the cold. However, it’d be beneficial to take advantage of good days in winter to ride outside. Brodie suggests that, if dressed properly, on nice winter days, it’s recommended to stay up to two hours outdoors in the cold weather.